Jáchymov is one of the few European loci where layers of history have accumulated in a most extraordinary fashion. Concrete references to so-called grand narratives are to be found all over town, despite the fact that it is far from common for such a tiny and relatively young town in the Central European context (celebrating only its 500th anniversary this year) to hold such a prominent position. The concentration of historical perspectives in this one location allows us to glimpse new and otherwise scarcely perceptible connections between them. This situational peculiarity allows for instance for a fresh study of the continuities and discontinuities within distinct phenomena across all major events and historical ruptures that left distinctive traces in Jáchymov - whether the foundation of the first radon spas, the creation of independent Czechoslovakia in 1918, the Second World War, the forced expulsion of the Sudeten Germans, the settlement of new inhabitants, the exploitation of the uranium mines in the 1940s and 1950s thanks to the massive use of forced labour (POWs as well as political and common law prisoners), or the year 1989. In the frame of these interconnectivities, the continuities between dictatorship and democracy deserve particular attention. Rarely has dictatorship been exercised in such a brutal, if brief, way as in Jáchymov. The town is an ideal object of research to explore various historical connections and their transformations between dictatorship and democracy. Jáchymov’s importance in the European context, set within the wider history of mining in the Krušné (Ore) Mountains, starts with the extraction of silver and the minting of the tolar. Efforts are currently underway to inscribe this mining site on the UNESCO world heritage list. By limiting the thematic framework of the conference to Jáchymov itself in the 20th century, our aspiration is to attract a broad spectrum of potential research approaches and thematic sections. The conference’s aim is to draw attention to Jáchymov as a locus of hitherto scarcely used opportunities for multi-perspective and interdisciplinary research into Czech and European 20th century history, and if possible to support such research. This section is focused on the examination of the various memories linked to Jáchymov, as well as on their conflicting interactions. It is important to reflect on the remembrance and forgetting of individual chapters of Jáchymov’s history in various periods. A comparison with similar towns, whose 20th century history was shaped by mining or other politically imposed industrial sectors, might prove equally relevant. Jáchymov is also strongly reflected in art and literature. The uranium exploitation in Jáchymov overdetermined the fate of the whole town in the 20th century. The establishment of its unique spa was only a prologue to its wartime and postwar ore extraction. The technicity surrounding both the extraction and the use of uranium might be of interest, but the political, economic and social context, or even the legality of uranium’s use and its impact on Jáchymov and its surroundings certainly deserve the highest attention. The comparative perspective, either with mining in the German part of the Krušné Mountains (Wismut AG) or with world centres in uranium mining (Canada, Belgium, Congo, etc.) might also prove fruitful. The most tragic pages in Jáchymov’s history are certainly linked to its forced labour camps, themselves stemming from a strong political interest in uranium extraction. Forced labour, be that of POWs during the Nazi occupation, postwar POW camps and of course communist camps in the 1950s, is a major topic of interest. Papers are encouraged to focus on individual aspects of the various camps but also on continuities between the forced labour camps between different periods. The investigation of connections between forced labour and uranium extraction is also important. One consequence of the numerous overlaps in Jáchymov’s history is the impact on the population’s composition. The transformations of the ethnic and social structure of Jáchymov and its surroundings reflect the history of the region in a meaningful way. Yet attention should not be focused exclusively on the turning point marked by the end of the war but also on post-war developments, as well as on the year 1989. 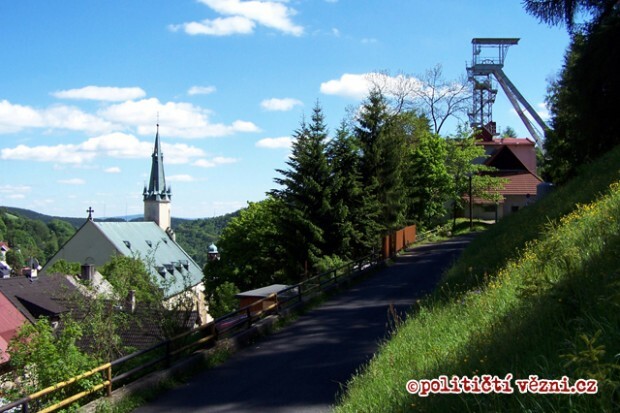 Due to mining but also to other factors, the Jáchymov area has undergone a major transformation of its countryside and of the town itself. The remnants of the mines, extensive construction work linked to the spa industry, the arrival of a large number of workers, the extinction of small municipalities and the decline of Jáchymov’s historical part, including after 1989, represent a significant historical footprint allowing for an interesting perspective on the Czech and European 20th century. Here we expect an overview of the range of sources that can be meaningfully employed in the research on Jáchymov: written but also other sources, in particular with a view to possible usage in other scientific disciplines, e.g., various kinds of maps (historical, geological, social), photographs, etc. Please send your abstracts in Czech or English by 30 April 2016 to: kamila.kozichova@ustrcr.cz. The length of conference abstracts is limited to 500 words. Notification of acceptance of papers and guidelines will be sent by 15 May 2016. The deadline for submission of papers will then be 31 December 2016. Publication A collective monograph drawing on selected conference papers will be published. Papers that are not included in the monograph can be submitted for publication in the institute’s journals. The conference will take place in Czech and English; simultaneous translation will be provided. The organisers will cover accommodation and catering at the conference for all speakers. Participants will pay for their own travel (exceptions can be made in the case of postgraduate students), as well as a fee of CZK 500.